According to the American Veterinary Medical Association (AVMA), veterinary shortages are prominent and persistent in approximately 1,100 rural counties across the country. These are areas home to thousands of livestock, equine and small animals in need of care. Many veterinarians have to travel hundreds of miles to see large breed animals, and pet owners must also travel far to seek care for their smaller animals, which means often times both don’t get the kind of care they need, and if they do it can be expensive. “If I wasn’t here, people would have had to travel even further to get their medicine and have their animals treated. I do believe that we provide a very important service in an area that is strongly needed,” said Dr. Zach Vosburg — a veterinarian in a rural town in Iowa — in the AVMA video below. Rural veterinarians are necessary and in short supply. William Woods pre-vet students who agree to start their career in veterinarian shortage areas after their graduation from vet school may have access to specific student loan forgiveness programs. 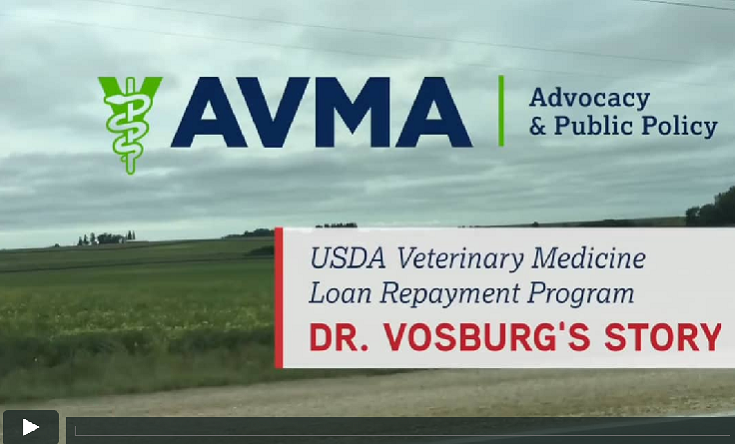 Currently, the USDA’s Veterinary Medicine Loan Repayment Program (VMLRP) provides selected veterinarian students upwards of $75,000 in loan repayment for serving at least three years in a federally-designated shortage area. “This repayment is key to incentivizing veterinarians to serve in shortage areas,” says the AVMA. Learn more about the VMLRP and understand possible changes that may help pre-vet students even more at avma.org/helpruralamerica.